My thanks to my sponsor, LongScreen–the best way to merge and share screenshots. Read why I love it or just download it today! Touch targets are dead-on. I’m not sure what early reviewers were saying about missing them. Perhaps if you tried to tap them while walking, you might miss, but at least in the store they were right on cue. Even when I tried to tap icons that were shrunk to the sides of the screen, it still got them nearly every single time. The only time it ever missed was at the edge of the screen when it would open up an app that was “bigger” than the shrunk one I was trying for. I didn’t feel confused by the interface, as I came in expecting that the watch face is the watch “home,” so I wasn’t confused by glances/notifications and where to access them. I did feel sometimes like too much had been stripped away. For example, when you set up an additional alarm, you Force Touch and then add an alarm. It immediately shows you a screen of alarm options (alarm, snooze, etc.). At the bottom, it had a button to “delete” the alarm, but no button to confirm it. I spent a while trying to figure out how to set the alarm and then I realized that by Force Touching and clicking “add,” it had already set the alarm. Thus, I could delete it, but I didn’t need to create it. This is, of course, different from the iPhone but it really struck me by surprise and felt like too much had been taken out. Instead, what confused me was Force Touch and the Digital Crown. Without any visual clue, it wasn’t at all obvious what Force Touch would do or where I could use it. For example, Force Touch brings up a menu of options in most apps, but if you Force Touch the watch face, you don’t get a menu but get customizations; if you Force Touch the app screen, you don’t get a menu, but you can rearrange the icons. I think that I will get used to this; after all, right-clicking doesn’t always do the same thing, but it does mean there is a learning curve. It also was unclear to me where I could use Force Touch and where I couldn’t. Without a visual indicator, it’s just something to need to learn, but it surprised me: I could use Force Touch on a specific email (to archive, reply, etc. ), but I couldn’t use Force Touch when I was in my inbox. Again, secondary clicks on a computer are just as odd, and we’ve adopted that, so it might just take some getting used to. 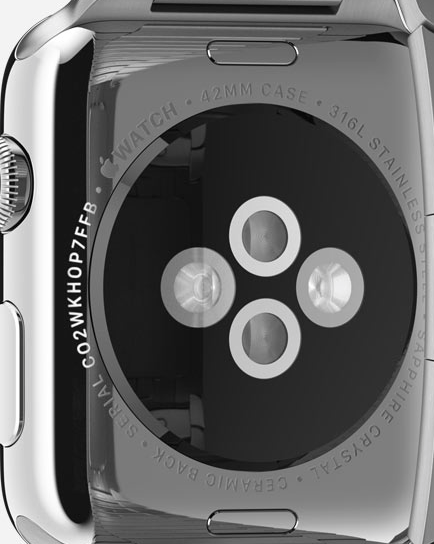 On the watch face customization screen, it rotates through options of complications. These options look like they are on a dial perpendicular to the crown so that the crown rotates on the same axis as the dial. When you get to the last option, the “top” option appears if you continue twisting the dial. But in choosing emoji, the crown rotates through emoji but when you reach the bottom, you have to scroll to the top. But in the alarm app, the crown moves the time-selection dial (same axis of rotation as the crown, unlike above). I wasn’t ever quite sure what the crown was going to do when I did it; the fact that it scrolled vertically as well as turned the message well as well as zoomed as well as rotated things on axis with the crown as well as rotated things on axis with the watch hands…just confused me. I wasn’t quite sure when I could use it or what it would do when I did use it. This wasn’t as intuitive, by way of contrast, with the scroll wheel on the iPod which did one thing when you scrolled it. This may be solved after a week of using it, but it wasn’t obvious to me at first. Interesting, the Apple representative wasn’t able to answer a variety of specific questions I asked him: whether ApplePay would work without iPhone, the Bluetooth range of the watch, how notification granularity works, etc. He said that the Apple employees hadn’t yet been trained on how to set up Apple Watch, so there were a lot of things that they didn’t know. I understand there is a lot Apple needs to do to get everything up and running, but this feels like a mistake. I’m going to get an Apple Watch already, but some people will come in with questions like mine and will hold off because they can’t get an answer. 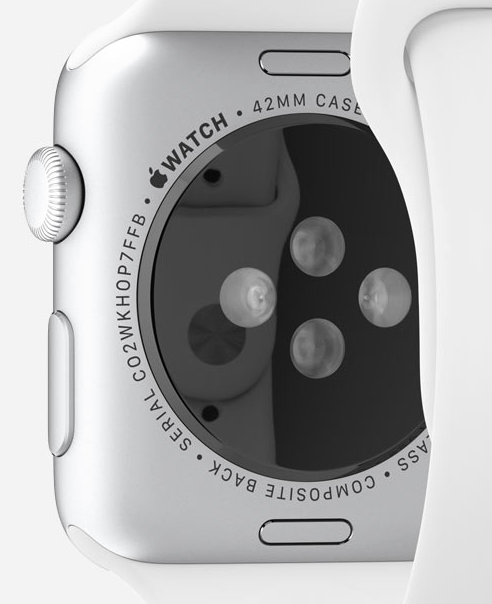 Most won’t have technical questions like some of mine were, but the question about what bands come with the watch seems a basic one to not have a clear answer. I tried on almost every single band style (I forgot about the Milanese though!). The try-on process was easy and nice and the representative was great (though didn’t ask me any “fashion” questions, perhaps because I’ve already pre-ordered). The leather loops did feel really cheap, as others have reported. To me, the blue leather loop felt almost like plastic; very little texture and not very supple. The tan leather loop (from a different tannery) felt much better, but I still wouldn’t choose either. The leather in the Modern Buckle and Classic Buckle felt great, though, in my opinion. I’m not a leather or watch connoisseur, but it was supple and comfortable. I had considerable difficulty putting on the link bracelet one-handed. Since both sides of the buckle join in the center, you can’t put it on in one motion with one hand (unlike the “standard” clasp of link bracelet’s I’ve used). You have to clasp one side, then the other. On the whole, not a problem, but it didn’t feel like “attention to detail” was upheld as much as it should have been. Since you couldn’t swap out bands at the table, I asked the Apple Representative if there was a way to try a band with my specific watch before buying it. His suggestion literally was to buy the band and since “Apple has a great return policy,” bring it back if you don’t like it. I can’t decide if that’s genius (more likely to sell bands) or stupid (imagine the number of returns). I asked about whether you got two full bands (of two pieces) or just one “pin” side and 2 sizes of “hole” sides of the Sport Band. The Apple Representative didn’t know, but he showed me that the side with the snap is the same size on the S/M and M/L size bands, but the side with holes is different. He suspects, then, that the two bands you get are one side with a pin and two sizes of the holes. Overall, I left my try-on session feeling incredibly happy with the Black Sport band that I ordered and while I’m interested in other bands (such as the Classic Buckle), I wasn’t so blown-away by them that I’d pre-order one. I’ll wait for 3rd party bands. There was a couple next to me, probably in their late 50s or early 60s, and for about ten minutes all they did was look at the different faces of the watch. Whenever they found a new one, or customized it, they would bring it to the other person and say “Look at this one!” It was fun to watch and reminded me that, for many–maybe most–the specific UI things that confused me will never be considered. For them, they fact that they can use different watch faces is enough for them to want to get them. My thanks to LongScreen for sponsoring this site! LongScreen is my absolutely favorite way to merge and share screenshots. Whether you’re combining images vertical or putting them side by side, LongScreen is a well-designed app I highly recommend. Read why I think you’ll like it and download it today!